It’s tough being a news publisher. Even large, well known sites like Fox or CNN are forced to fight over small scraps of traffic and produce headlines which would literally make you think the sky is falling if you visit them. No expense is spared and I think some media outlets would stir absolutely any pot and anyone’s expense just to get a few extra views. Anyone who operates a website on the Internet know there is a formula. X views = $X. They all know their number, depending on how their site is monetized. They may average $1 per 1,000 views. With this fact established let’s take a look at how publisher sites are making money, or failing to do so. 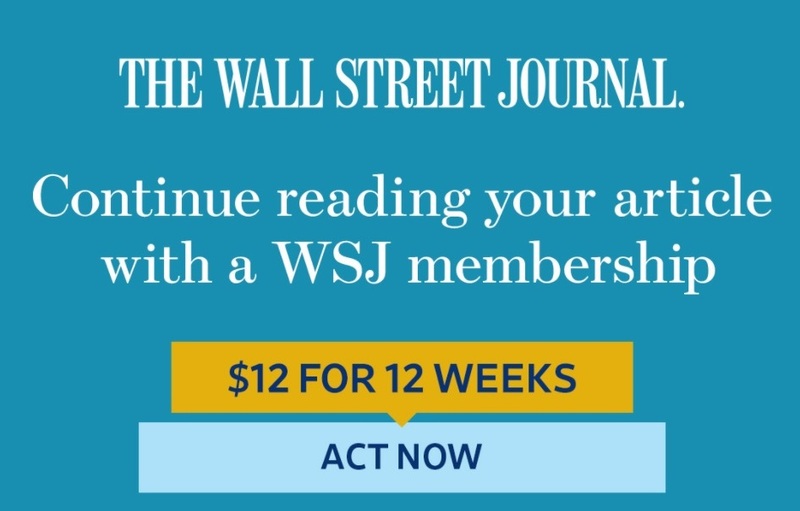 I can’t believe in 2018 publishers would add a paywall to their site. If this works for them that is awesome and I would encourage them to keep producing great content that people are willing to pay for. But it looks like a scary venture to me. These websites will not let you browse their website in incognito as they must put a cookie on your machine to track how many times you’ve visited it. These are popping up in small towns all over the USA. It’s funny they mention they hope that I enjoy their free content. No. No, I did not enjoy it. I took the time out of my day to click it, and it was a lame 100 word article that 14 year old me could have written. Furthermore, it was sandwiched in between EIGHT ADS ranging from mortgage refinancing to Hepatitis treatments. Unfortunately for this publisher, I am Hepatitis free and I do not click on banner advertisements to apply for a home loan. 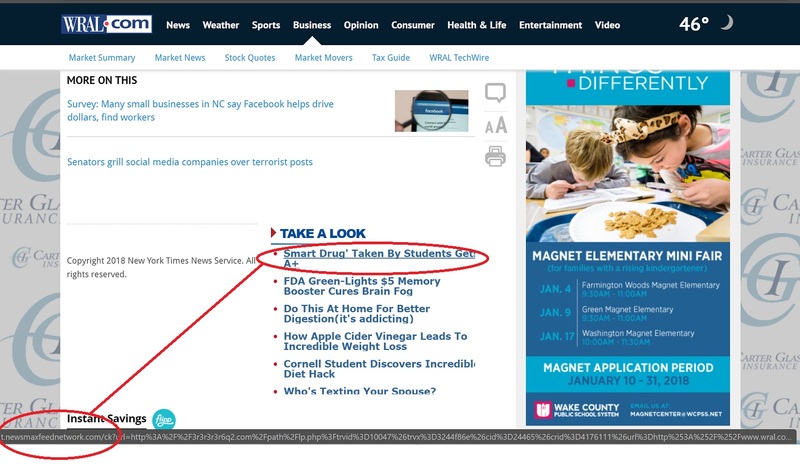 Tragically, people think these are legitimate headlines, they click the dramatic headline about skin creams or brain supplements and are promptly scammed. I wrote about how the FTC needs to stop PUBLISHERS from intentionally pushing out these scams. Currently, no action has been taken and the scams continue ripping off less tech-savvy readers. How could you let your own users get scammed like this? That’s like buying stolen air conditioners for $20 just to get the copper out of them knowing that someone is going to be out $7,000. Local ABC affiliate sites are the worst for this. I have a new $1,900 state of the art ThinkPad laptop which is bogged down when I hit one of these terrible pages. Videos are playing and sometimes TWO additional advertisements are playing. When I hear 3 videos at once blasting through my speakers I am not happy. You know… I can’t believe in 2018 I visit a website just to see Kroger ads pop up in my browser. C’mon man, really? I don’t care that ham is on sale. I can’t just clip this ad off of my LCD screen, why is it there? Am I supposed to drop what I’m doing and look at peanut butter prices? Having worked with publishers I am well aware of the fact that bad news gets significantly more engagement than good news. Unfortunately, when you visit publisher websites these days, the most successful are cramming bad news in to their headlines everywhere possible. 6,000 leprechauns could be running around a rainbow tossing out gold coins from the sky but most media outlets would be talking about some group of 110 people who want to let their cats play at the dog park without fear of being bitten. To me this is fake news as they’re reporting things only to get the most views possible or pushing their own political agendas or trying to rig elections for their favorite republican or democrat. Evergreen content and content which answers a question is good for a very long time. Most other content expires within 24 hours and more importantly most people are not searching for it online. This means many publishers rely on traffic not from organic search but as referral traffic or worse yet, social media traffic (cringe). This is never a good idea. Just today Facebook adjusted their (horrendous) algorithm to drastically reduce the reach of the publisher content in the news feed. I guess I am just ranting here but maybe one day someone can look back at this article to see how news websites made users feel in 2018. The sites are shutting down left and right and the sites staying afloat by generating clicks which take users AWAY from their websites face an uphill battle. While most of the Internet is focused on user experience (UX), many publishers are providing a horrendous user experience in an effort to not go the way of the printed magazine. I do enjoy reading news from time to time from good reporters and journalists so I do hope they can find a way to make money from providing their service, but something is going to have to change in the future.